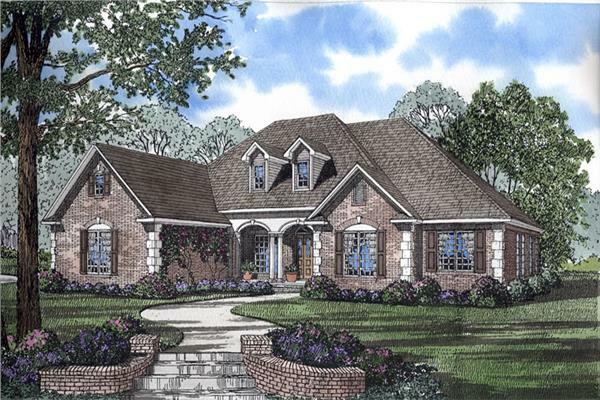 Traditional house plans are some of the most common styles built throughout the United States. These floor plans are designed to accommodate the American way of life and typically range in size from 700 to 10,000 square feet, making this style a popular one for accommodating any lifestyle and budget. Traditional house plans are kind of a mix of several other styles, but there are some basics that are usually consistent throughout traditional home designs: simple roofline, often hip rather than gable, with brick or stucco exteriors are most common. Traditional style homes are often single level floor plans with steeper roof pitches, though lofts or bonus rooms are quite common. Other popular features of traditional floor plans are covered porches and open foyers. If you love this style of home, browse through our large collection to find your perfect home. Contact us with any questions you have about our plans.